Looking for the best pressure canner? You’ve come to the right place. Canning is an amazing way to preserve your vegetables and fruits so you can eat them at any time and any season. You can get your blueberries during the winter or be eating a pumpkin in the middle of the spring, by using your pressure canner you are able to preserve almost any type of food in canning jars and enjoy it anytime you like. That’s the number one reason of why pressure canners are so popular today and can be a useful addition to your kitchen. Our first choice is the robust and reliable All American 921 build with a metal-on-metal seal and manufactured by All American a company that creates appliances since 1930, this canner is one of the best model overall on today’s market with the best features to help you can on the right way. Featuring a large size and an industrial profile, the 921 model looks so professional, that seems like you could use it at home but as well on a high-end restaurant. With all high-quality materials and components, this canner is one of the strongest and durable of the market. 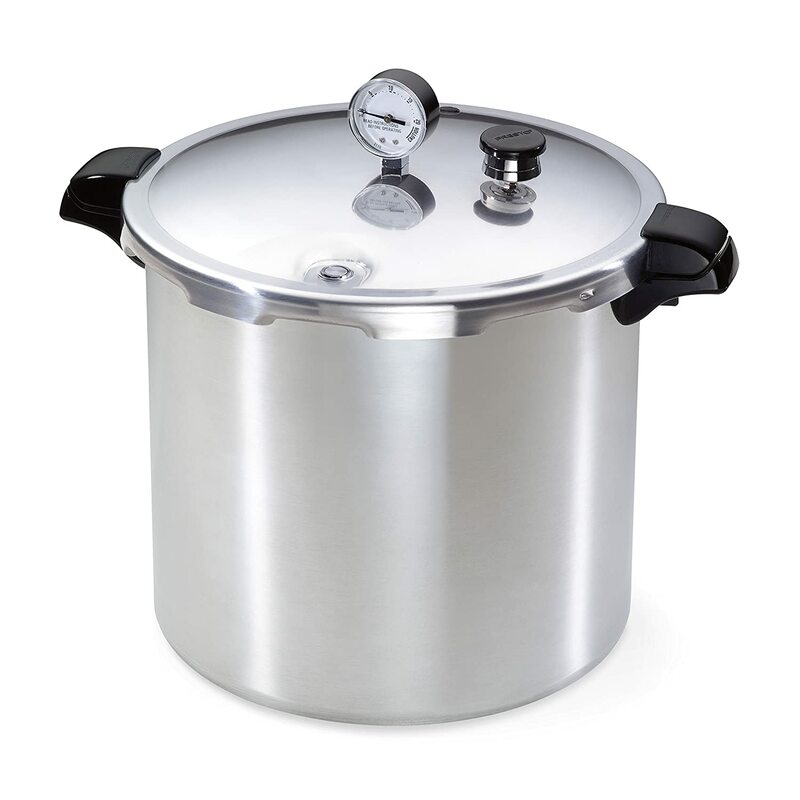 Created to give you extended temperatures and the pressure needed for canning, this amazing model can also be used as a pressure cooker and is also a great appliance to make large quantities of food in a simple and fast way. Constructed with an extra heavy-duty hand-cast aluminum with a satin finish making possible to heat quickly, Another advantage of their build is that they are really easy to clean, and won’t rust. With the exclusive, precision machined metal-to-metal sealing system that comes only on All American appliances. that uses 6 large Bakelite wingnuts align and clamp the lid to the kettle to form a steam-tight seal that tightly locks the lid in place. And because no gasket is used, the cover always opens and closes with minimum effort. These amazing canners are available in 10.5, 15.5, 21.5, 25, 30, and 41.5 quart sizes. They are big appliances and you may want a smaller model, we advise you to start with the 21-quart “921” model that has a capacity of 21.5 quarts, which works out to 7 regular quart jars or 19-pint jars, with a somewhat lower capacity for wide-mouthed jars. This is a great size that is big enough to get a larger batch processed while being small enough for one person to pack around. Comes with a safety release used for when too much pressure builds up. Offers different ranges of psi. Price is not so budget friendly. The second on our list is the amazing Presto 23-Quart and is the best when it comes canners for glass stovetops. Another reliable company making the best products since 1905. A great addition to any kitchen, this dial-gauge canner comes with a comfortable a 23-quart capacity and can be a pressure cooker as well as a pressure canner. With a wide range of features, such as plastic handles made specially to stay cool to the touch throughout the canning process, a pressure regulator and also a firm locking lid to prevent seepage. Another great addition is the easy-to-read dial gauge that works together to prevent the build of excess pressure and damage that could follow. Another great plus is that the steam gauge gives you the ability to control the pressure accurately, and the included manual and recipe book will have you set up and cooking in no time. One of the most popular models on the market is really easy to move around since it only weighs 12 pounds and measures 15.5 x 15 x 14.75”, the durable Presto model is light enough to perform on both glass and ceramic ranges, as well as electric coil and gas stoves. Featuring a large kettle made of warp-resistant, heavy gauge aluminum that is among the best metals to heat evenly and fats your meals, providing you quick and efficient results when handling large batches. The 23-Quart Aluminum pressure cooker from Presto is a warrior in your kitchen. It cooks food rapidly while preserving a ton of flavor lost in alternative methods like a microwave. 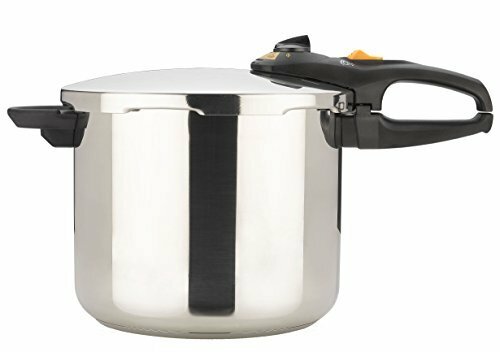 The Presto 1781 Aluminum Pressure cooker comes with all your pressure cooking and canning needs cover. It’s big, it’s safe, and it’s affordable! Features 2 different sizes making canning a breeze. Incredible 12 years limited warranty in case anything needs replacing or repaired in the future. Made of heavy gauge aluminum making the heat equal throughout the canner and build pressure faster and easier. Considered by some people to be bulky and too big if when you need a smaller capacity. 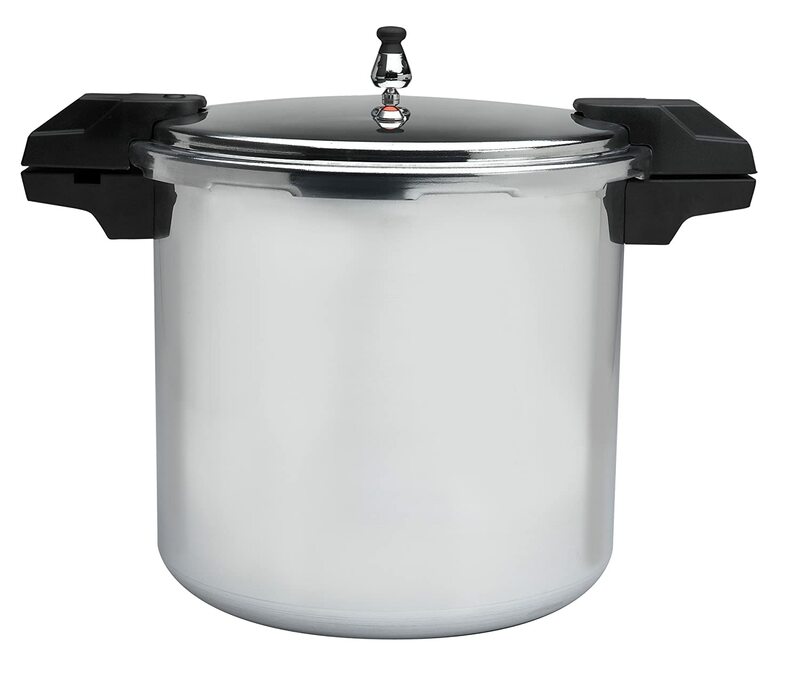 Another American and reliable company is the Columbian Home Products, creators of the 20-quart weighted-gauge pressure canner, steamer, and cooker Granite Ware. Made of hard-anodized aluminum for safe and efficient heat distribution, the Granite Ware features a lid made of polished aluminum that forms a steam-tight seal with a rubber gasket that fits snugly into the lid rim. The lid drops into place when the lugs align with the kettle, and it seals with a small twist. It also includes stay-cool handles on the lid and kettle as well. A cool addition is the pop-up pressure indicator, which also locks the lid safely in place. As an added safety feature, a pin in the handle base clips to a latch in the kettle, so the lid locks won’t release when it’s pressurized. This model comes with 2 separated safety valves, one of all metal that will exhaust extra pressure while issuing a whistle, and another with a black cap that will go off as a backup safety release if the main vent pipe fails or is blocked. Granite Ware does not recommend that this model is used on glass stovetops. It measures approximately 14.5 x 14 x 13.5” and weighs in at 11.2 pounds. And it also comes with an Instruction Manual. Another reliable brand Mirro start developing appliances back in the 1800s in Wisconsin and the brand name really was introduced in 1911. The Mirro 92122A canner is a high volume cooker that is capable of holding up to 16-pint jars or 5-quart jars in just one cook. 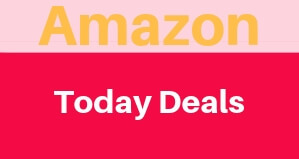 Comes with 3 pressure modes and is a really popular appliance with tons of good reviews and an amazing 10 years warranty! Constructed of rustproof, heavy-gauge aluminum, it’s fast to heat, heats evenly, and comes to pressure quickly as well. 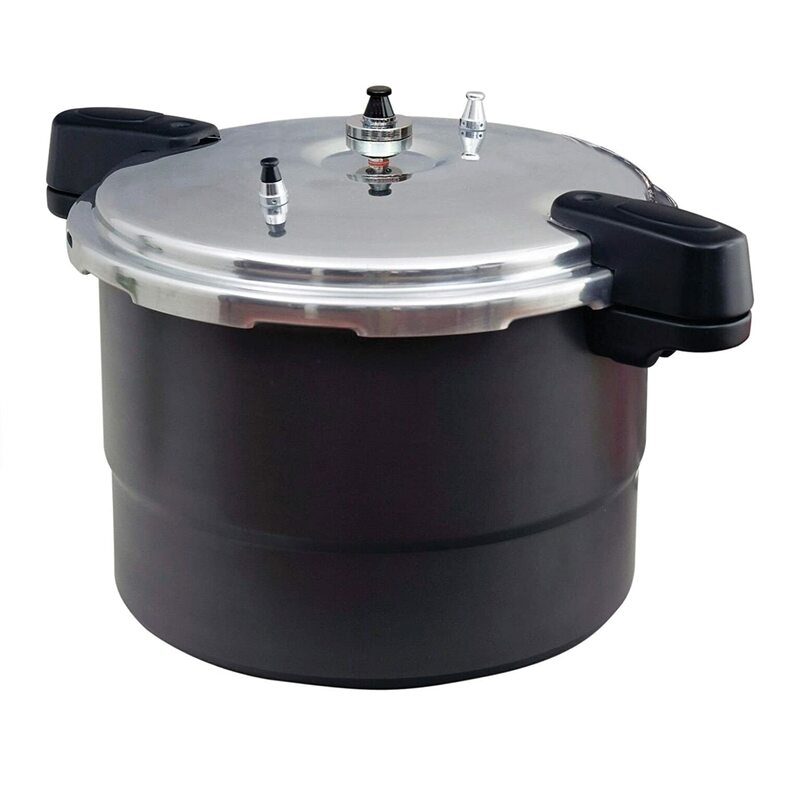 Is great for all types of cookers, even if you are a beginner this canner makes it easy with 4 separate safety features making your meals a breeze. The lid also includes a rubber sealing gasket that sits in the lid lip, creating a steam-tight seal for canning and cooking. The company suggests replacing the sealing gasket in case you have some steam escaping from the sealed edge. When it comes to safety this UL listed model is really reliable with some cool feature such as in the case that the main steam vent gets clogged or any if there’s any excess pressure builds in the kettle a reusable overpressure plug will be activated. And in case that both the steam vent and overpressure plug fail simultaneously, the excess pressure will force the gasket out of the overpressure window to break the seal and release steam. The Mirro also comes with two flat jar racks for two-tier canning of pint and half-pint jars. It holds 7-quart jars, or 18-pint jars or 26 half-pints if using the double rack. and is also available in a 16-quart size. The heavy-gauge aluminum body gives you a uniform heating and a great pressure build. Offers the option of canning with 5, 10, or 15 psi. Has an overpressure release option and a sure locking lid system. Smallholding capacity. Doesn’t hold many jars. Our last but not least choice is the smaller of our list featuring a 10-quart capacity, the Fagor Duo Canning Set. Made of beautiful stainless steel and including a great deal of safety features (UL listed), and also a 10-year warranty that makes it even more impressive! 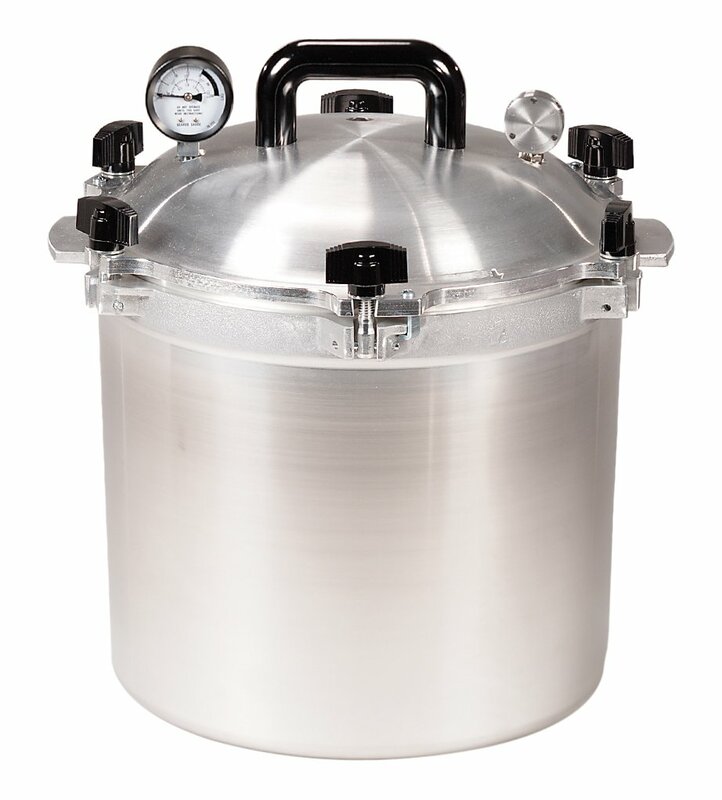 Another popular choice as a conveniently-sized pressure canner that’s perfect for processing smaller batches. Plus, it easily doubles as a non-reactive pressure cooker. And with the all the utensil that comes in the box you’re ready to start canning as soon as your canner arrives. The lid is also made of high-quality stainless steel, and the machined lugs match up with the kettle lugs to securely lock into position with a small twist. The yellow pressure lock enables you to lock the canner when the lid is in place by just sliding a switch. A silicone gasket is positioned around the underside of the lid to provide a steam-tight seal, and it must always be used if you want to build pressure. The valve is a spring-operated mechanism located on the lid handle, with an easy to use dial format. It features four settings: Low (8 psi) and High pressure (15 psi), steam-release, and unlock. As an added safety feature, the kettle will not build pressure if the pressure lock has not been engaged in the closed position. Once engaged, it ensures the kettle will never open while under pressure. Most pressure canners are either made of stainless steel or aluminum, and each has their advantages and disadvantages. For instance, one of the major reasons aluminum is often the material of choice is because it is less expensive than stainless steel and fairly lightweight and have the exceptional conductivity aluminum is known for. On the other hand, the stainless pressure canner is often incredibly durable. However, stainless isn’t the best conductor of high temperatures, so heat isn’t always distributed as well as with the aluminum models. At the end of the day it all depends on the need that you and your kitchen have, but if you are looking for a pressure canner that can last for a long time, a stainless steel option may be worth the investment. To prevent the oxidation of the pot and have a more durable appliance you can add 2 tablespoons of white vinegar to the pot each time it’s used. The larger capacity canners can get a little bit heavy to carry on and will need some extra maintenance. On the case of the smaller sizes such as any model lower than a 14-quart capacity are normally made to cook under pressure but not to canning. Having in mind that most canners are budget-friendly, having a couple of differently sized models to pick from is a smart way to easily and conveniently deal with all of your preserving tasks. Probably one of the first thing that you are going to have in mind is the budget that you have for buying any new appliance, you know your limits to spend on anything that you going to buy. So the first step is to check if the listed price fits your budget, then check if the features that come along with the pressure canner are the ones that you need or wish to have, so you get sure you are getting the best deal for your buck. 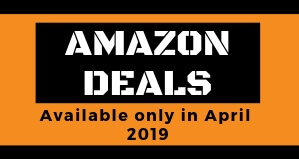 As you can imagine in most cases the cheapest option isn’t always the best choice, but you also don’t want to pay for features you really won’t utilize, these are all some things to keep in mind as you consider which is the best canner that fits you perfectly. The lid can have a dial gauge that offers a quick and accurate pressure display. Dial gauge canners will most often have a pressure regulator or a counterweight as well, but this is not the same as the weighted gauge – it will not jiggle or rock, and only the dial will accurately display the internal pressure. Pressure is usually displayed in increments of 5, from 5-15 psi. Pressure is indicated by a weighted gauge, which sits on top of the steam vent. The weight will jiggle, spin a bit, or gently rock several times per minute to indicate that the correct pressure has been reached and is holding steady. Your owner’s manual will describe the specifics of “jiggles per minute” for your model. With weighted gauge canners, more weight is stacked on the vent to increase pressure. Lids that twist and lock come with a rubber gasket that sits between the two metal edges, giving you a complete seal. The gasket is the part that will need to be replaced the fastest. Try to pick the best brand and rename company since they normally have a good stock of spare parts readily available, so that inadvertent downtime is kept to a minimum. Most canners come with the twist and lock type of Lid, that uses the before mentioned gasket. These models include machined lugs that correspond with lugs on the edge of the kettle. When aligned, the lid drops into place, and then it is given a short twist to lock. The other type of lid that can come included is the metal-on-metal style, with a series of wing-nut clamps set around the perimeter. When tightened, they made a steam-tight sea a cool thing about this type of lids is they don’t use rubber gaskets that can wear out. The best models are the ones that offer a large, comfortable grip made of heat-resistant materials. You need to have in mind that when the canner is full can be quite heavy and full of scalding-hot water. To move them around they need to be lifted, not dragged or jostled across a surface, so check for handles that offer the best possible grip for a safe and secure purchase. When in tomes to Knobs you need to also be sure that they are made of heat-resistant materials and give a large, comfortable surface to grasp. The pressure canner that includes different types of safety features will provide you the best level of security and confidence when cooking. Be sure that the lid-locking mechanism is reliable and check also for dual safety vents or a vent window for the models that come with a gasket. And always be sure that your pressure canner is listed with an agency recognized for safety testing, such as UL (Underwriters Laboratories) or CUL (Canadian Underwriters Laboratories). Never get any part of your body close to the steam vents because they exhaust some really heavy heat that can easily burn your skin. Try to always orient the vents at the back of the pot, and direct the plume of steam to the back of your stovetop or overhead vent. Be sure that the pressure in the canner has equalized with the outside pressure before you open the lid. You need to be sure that the pressure is back to zero if not there some risk that the steam and boiling liquid can be shoot through the lid gap, and can also cause jars full of hot liquids to break. In the case that for a weird reason you lose pressure while cooking, return the cooker to the necessary level and start the processing time again. Foods need to be processed in the right amount of time at the right pressure to be sure that all the bacteria is gone. Pressure canners are great energy savers. By using a pressure canner you will spend less time when preparing meals meaning that you will save money since you won’t have a plethora of appliances running up your energy bill. Another cool benefit is that you are going to save a lot of time. Less time slaving over a hot stove, and more time for whatever you would like to do. You can clean and wash the jars using the Canners itself. These canners are really easy to maintain and even easier to clean. Traditional cooking needs a lot of oils and can make a real mess while you are cooking, on the other hand, the canner comes with a well-secured lid that prevents splashes, and at most you’ll only have to wipe down one appliance. Be sure that all the vent pipes aren’t clogged with any material or calcium deposits. Position the rack and warm water into the canner. For hot jam-packed foods, you can put the water up to 180°F in advance. For raw, filled foods, water needs to be at no more than 140°F. Always use the jar lifter to place the jar on the jar rack in the canner. If your canner comes with a gasket, be sure that its carefully in place before locking the cooker. Turn the heat to the highest position up to the water boils and heavy steam flows widely in a funnel-shape from the open vent tube or petcock, and let the steam to continually exhaust for about 10 mins. Check the heat under the canner to keep a reliable pressure built up, preferably just above the desired pressure reading on the pressure gauge. Once you finish cooking, turn off the heat, take away the canner from the heat source, and let the cooker to cool off naturally. Releasing the pressure through the gasket can also help speed up the cooling process. When removing food, never force the cooker to open. If you got any resistance when you try to open the canner is clear that there is still pressure on the inside, and it should not be opened until this pressure is released. Always remember to buy a canner that meets your needs and is both reliable and easy to use. Pressure canners are a great addition to any kitchen and most of them are really affordable and they will give you a great way to preserve fresh vegetables and fruits without additives, maintaining your health, and saving you time and money as well. At the end of the day, whatever type of canner you decide on you need to be familiarized with the instructions and safety precautions in the manufacturer’s user manual. Finally, the decision is yours, remember to check for our instructions and tips and get yourself the best pressure canner that suits your needs and budget.